Harley Goes Electric! Will it Fly? Bob Dylan went electric at the Newport Folk Festival back in 1964 and his diehard fans nearly fell out of their Birkenstocks. Well, history is repeating itself with the release of the Harley-Davidson LiveWire electric motorcycle. We haven’t heard too much from the Harley Faithful about this apparent departure from what has made the Motor Company famous, but from past experience with the V-Rod and Buell machines, I can only guess that some American made folks will not be happy. Is this what Harley can expect? Boos from the Faithful? I hope not, because I believe that electric motorcycles just may be a big part of motorcycling’s future. I recently rode a Zero electric motorcycle and was really impressed with almost everything about it. The power was smooth and instantaneous, the sound was soothing in contrast to the invigorating thrust from the radial flux permanent magnet, brushless motor. Sure, the range needs to be improved, but that’s coming. 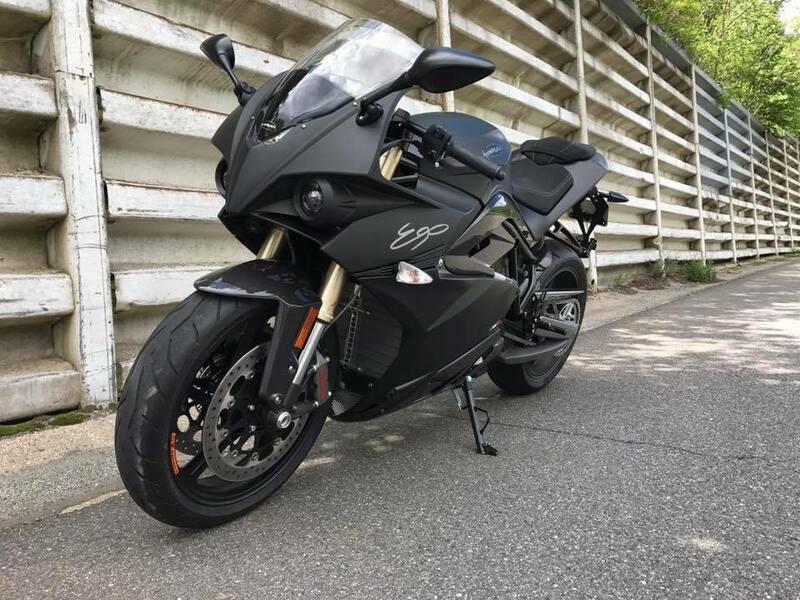 Update: I also spent time riding an Energica e-sportbike on the racetrack and on the street. The full review is here. The LiveWire bike differentiates itself by more than just its motor. It also looks different than the traditional V-Twin cruiser that we’ve all come to know. It’s styling is more power cruiser, like a V-Rod or Ducati Diavel. From a marketing perspective this is smart, because there is no sense in trying to convert the already captured audience that Harley-Davidson counts on to pay its bills. Instead, aim for a wider audience who has an open mind to new technology, engineering and modern styling. The risk is whether H-D will alienate the traditional rough and tumble segment of the riding community enough so that they harm their established image. Let’s hope we can all just get along and Harley can succeed at catering to both segments: young and old, modern and traditional. Harley’s are not known for their performance. Sure, they do fine for what they are designed to do, which is to cruise the boulevard or tour the countryside at a leisurely pace. The H-D technology doesn’t exude performance that more modern designs from Victory or the Japanese companies can deliver. But, that’s not the point. What Harley does deliver is a visceral experience of a rumbling V-Twin that means business, even if the performance numbers don’t exactly impress. Part of the visceral experience of the Harley (and almost any other motorcycle that burns dino-juice) is the sound it makes. I like relatively quiet bikes, but I also enjoy the auditory satisfaction of an accelerating machine with a throaty exhaust note. The number one difference that people need to get used to when introduced to an electric motorcycle is the lack of exhaust noise. Now, for many of us socially responsible motorcycle riders, we see this as a good thing. But, What about Loud Pipes and Safety? For those who believe that loud pipes save lives, you will likely exclaim that e-bikes are more dangerous. But, I’ve never been a believer that loud pipes save lives. Sure, noise can add additional conspicuity. But, it’s more important to be seen. Anecdotal evidence alert: My own experiences suggest that being loud is not a reliable safety measure. For one thing the physics of the way sound travels and my attempts to hear loud bikes as they approach from the opposite direction both convince me that a loud exhaust does nothing to make you safer. I have witnessed loud bikes coming my way and I could not hear them as they approached. That’s why I believe that noise is not a reliable strategy. Your perceptions may vary. The proven way to avoid being involved in a crash is to be seen. If a driver can see you, he or she can avoid you. Yes, loud pipes will let them know you are in the vicinity, but they won’t know where you are. Electric motorcycles will polarize a lot of riders because of the lack of noise and the challenge to the status quo. But before you judge…ride. I found that the combination of seamless power and silent operation are just as satisfying as the rumble and roar of an internal combustion gas burner. Maybe you will feel the same way. Would you buy an electric bike? I’ve ridden all sorts of motorcycles, from Harleys to sidecar rigs, to all manner of sport and touring machines. But up until a couple of weeks ago, I had never had the chance to ride an electric motorcycle. Thanks to Eugene Morin of Seems Electric Vehicles, I was able to cross that off my bucket list. The bike Tony (Tony’s Track Days) and I rode was the Zero “FX” , which is the dual-sport model. This particular motorcycle is outfitted with police lights and siren for the Block Island, Rhode Island Police Department. Eugene has outfitted machines for the Newport, RI men and women in blue, as well. The number one question I get when I tell people that I rode an electric bike is how long will it run on a charge? According to Zero’s specifications for the FX, it can go for up to 35 miles with a single battery configuration, or 70 miles on a dual-battery setup. This is for what they call “city” riding. 70 mph highway riding causes the battery life to plummet to only 15 miles with the single battery and 30 miles with the dual battery. But, this dual-sport model is perfectly suited for the job it is intended for: curb jumping, rock hopping and general shenanigans, and not for droning on a highway. Eugene brought the magic machine from Rhodie. The Zero FX puts out 70 foot-pounds of torque from the moment you twist the throttle. The unit we rode had just a single battery, but a second battery is available that provides more horsepower (but the same torque). With 70 foot pounds of torque from the bottom, the bike jumps to life, reaching 60 mph in 4 seconds! Yahoo! However, once underway you quickly find the top end of its 27hp (44hp with two batteries). Max hp is reached at just 3,750 rpm. Flat out, baby. Tony and I took the little FX in some dirty parts of Thompson Speedway’s infield, dodging construction equipment and roosting the rear tire to see what the potential is for trail riding. In four words, “it is a blast”. This is more of what the FX is made for. There is no gearshift lever or clutch to modulate, just twist the throttle on and off to regulate speed and power. With fully- adjustable suspension, the bike will handle most anything you toss in front of it. On the racetrack, it was lively, but ultimately, it fell flat once you got the motor wound up. Max speed is 80 mph, but I wasn’t comfortable going much over 60 on the dual-sport tires. The bike only weights 240 pounds, so it was light and flickable. Perfect for off-road or city riding, but out of its element on a pavement racetrack (or extended highway riding). The dash is spartan, but had plenty of ways to customize power delivery. We didn’t mess too much with the power modes, but there are some. One mode delivers a mellow power delivery, while the other snaps to attention with a bit more authority. There is much more to learn about all the settings. I can see the potential for some riders to just hit the “easy” button and ride happily for weeks. Riding the Zero FX was a pleasant surprise. I expected scooter-like sensations. What I got was the power and responsiveness of a real motorcycle. It’s combination of liter-bike torque with 250 Ninja horsepower is something I’d have to get used to. But, that torque is enough to satisfy me and make me want to ride the Zero more and more. The other observation that stands out when riding the Zero is that something visceral is missing…sound. What you hear when the bike is stationary is complete silence. Tony had to ask whether the bike was “running” or not. It was. There is an ignition key and some safety switches to prevent accidental launching, which is a good thing, because it is impossible at a quick glance to know whether the thing is loaded or not. Until you get used to the immediate torque and the safety systems, it’s probably best not to point it at any solid objects before you’re ready to roll. Can I Live With One? Electric bikes are definitely something I am interested in. I can imagine stealthily working my way through the woods or traffic with just the whistle of the wind, the whine of the tires and the whirring of the Z-Force® 75-5 passively air-cooled, high efficiency, radial flux permanent magnet, brushless motor to remind me that I’m on a motorcycle. The range may be a problem, but not if you use it for what it’s designed for. A bike like this would be a great trail bike and commuter. I would keep my Triumph Sprint for long-haul duty and my Street Triple for the track. The street versions offer more power and range and a more streetbike-like experience, or so I’m told. (Try 106 foot pounds of torque for the Zero SR!) 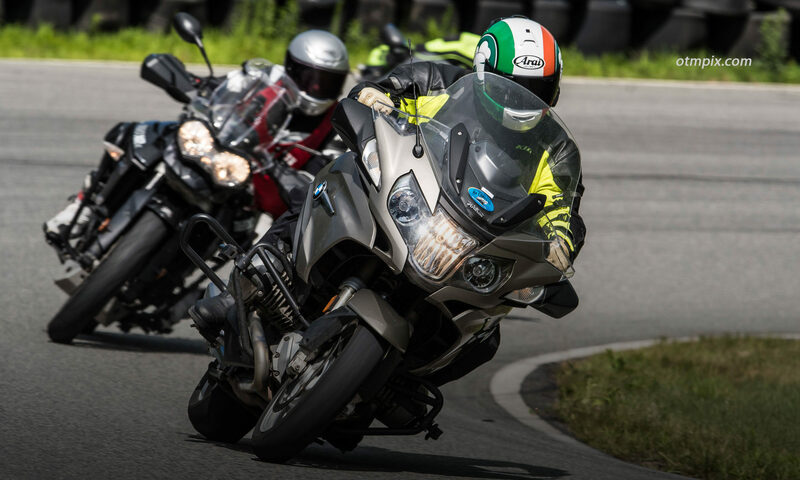 Thankfully, Eugene promises to bring a handful of Zero Electric Motorcycles to a few Tony’s Track Days events for us to try (yes, customers can ride them, too). Join the TTD mailing list to stay informed. For you loud pipes folks, I never believed that loud pipes save lives, so I am not concerned about any safety deficit. 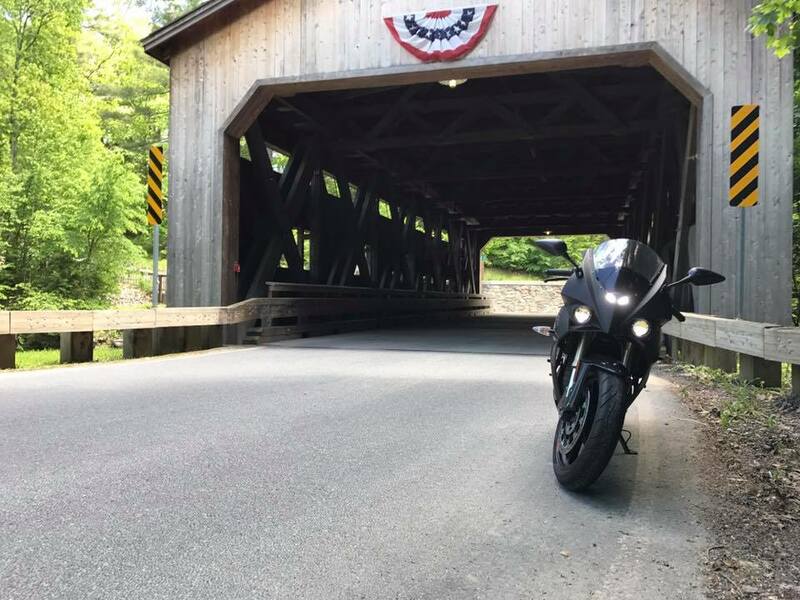 And even though I love the sufficiently muffled, but booming sound of a V-Twin, or the music of a spinning triple or in-line four in my ears, I can equally appreciate the silence of an electric motor. My neighbors will, too. Imagine eliminating all the problems off-road and paved racetrack owners have now with neighbors who complain about loud motorcycles. Silence is golden, people. Unfortunately, prices are still a bit high for my personal bank account to endure. The FX retails for $9,500.00 with a single battery or $12,000.00 for the two-battery setup. What you get is a unique, quality-built machine that happens to get the equivalent of 470 mpg (city). Prices should continue to fall, so I suspect we will be seeing more and more electric bikes in the woods, on the street, and on the track in the near future. One may even appear in my garage before the next decade rolls around. But for now, I’ll have to stick to fossil fuel-consuming road burners.